Earlier this year, a new CELTA qualified colleague arrived from the UK. The school provided him with a month’s accommodation and started his visa process at their own cost, two things which no other school in Costa Rica (again to the best of my knowledge) would have done. Within three weeks he was gone. He went back to the UK because he had been offered an interview, not a job, an interview with a clothing company. In his words “I’m nearly thirty now and I have to think about my future”. It’s funny that he hadn’t decided to do this before he flew halfway around the world and created a lot of unnecessary work and expense for people. I was stunned by his lack of professionalism, integrity and maturity, but most of all I was angry. I was angry that he had caused so much bother for no good reason, but even more so I was angry for the state of our profession. This was a person who had the CELTA, who was equally as qualified as me and who treated the job like an intermittent distraction. And it made me a bit sad, because teaching EFL is a great job. It’s not perfect, but it can be very rewarding, both personally and intellectually. If you’re the kind of teacher who turns up five minutes before class, turns to page 48 in your coursebook, thinks “oh yeah, this one again” and doesn’t get involved in the learning process that your students are going through, then you might want to reflect on why you’re thinking about switching to “a proper job”. I always think about this when I hear people criticising the CELTA and discussing the entry level requirements to EFL. Often the conversation centres around the idea that the CELTA is an inadequate qualification for an English language teacher. To summarise, the main criticism was that the CELTA only contains six hours of teaching practice which cannot be considered enough for a teacher to be qualified, especially when compared to other professions. In principle, it’s hard to argue with this point of view. I can’t imagine that there are many people who think that six hours is really sufficient training before teaching without supervision. I do have to say however, that those six hours were perhaps the longest six hours of my life! Six hours when you’re inexperienced is very different from when you’re experienced, especially when you’ve got a tutor and a group of colleagues watching you. That said, I will concede that it isn’t really sufficient. If you employ a teacher with a CELTA and not much else, then what do you expect them to be able to do? I would be expect them to be capable of organising and carrying out a well-executed lesson. I would expect the students to learn something. And I would expect the teacher to make mistakes every now and again. I wouldn’t expect much more than that as I think that would be unfair. This isn’t a criticism of the CELTA in any way. As I said, it is what it is. In my personal experience, I felt that it was exactly what I needed at that time. It gave me structure and direction, and it introduced me to key concepts that I have gone on to develop in the years since. I think that should be enough of an initial certification course. So this leads us to the dilemma. If you don’t think that CELTA is enough, I’m afraid you’re very far from reality. Perhaps in certain cities in the world you can’t work without one, but it must be a tiny minority of places. If we start to say that CELTA is below the entry level, then you can go ahead and close every school in Costa Rica and a lot of other countries, I’d wager. And that’s not going to happen. You will also prevent many new teachers from joining the profession, particularly in the private sector. The CELTA doesn’t come cheap and asking people to spend over £1000 on a qualification for a job that they’ve never done is already quite a big ask, especially in countries where this will make up quite a large proportion of the income of the job they are planning to go into. If you want them to go beyond this before they become a teacher, you can wave goodbye to 90% of new teachers. This will get a rid of a lot of bad teachers, but it will also get rid of some good ones. It would have got rid of me. And if you do think that the CELTA is enough, as I do, then you have to concede that it’s not a perfect situation. Perhaps the course could be restructured, but even if you double the number of teaching hours, it’s still only 12 hours. How much is enough? 20? 40? How many hours do you think you needed before you became comfortable in your job? Is it feasible to include that in a course? And of course, having a CELTA is by no means a guarantee of reliability when it comes to teachers, as I learnt in the story above. So while I can understand where this principle of demanding a higher level of qualification comes from, and I appreciate the ideas behind it in theory, it’s so far from being a reality in a lot of places, I’m not sure if there’s much point in having this discussion. What is more interesting to me is how we try and raise the actual entry level in EFL which in a lot of places, if you’re a native speaker from certain countries, is having no qualifications and no experience, and if you’re a local, non-native or native from some countries, means that your qualifications or experience are ignored. That is the real issue and the reason why I support this campaign. 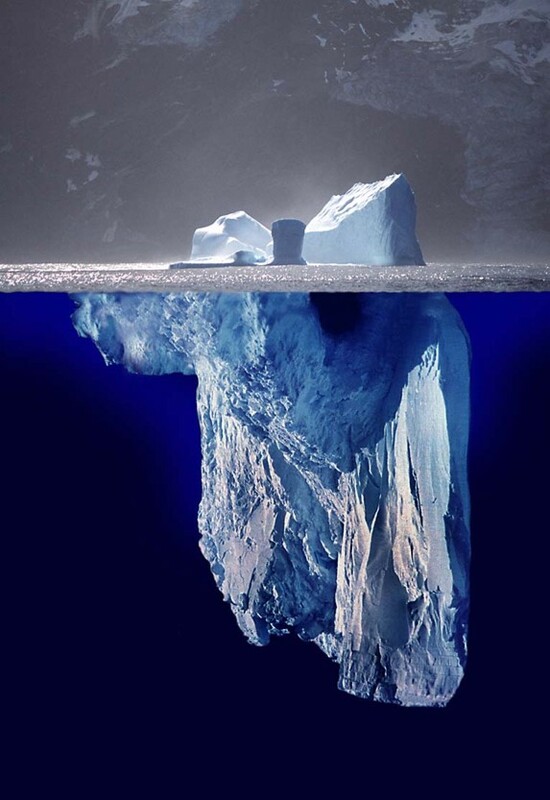 It’s worth that remembering that TEFL is like an iceberg, to use an old cliche. Above the water, the CELTA line if you like, you will find the career teachers, the ones with qualifications and experience, the ones who blog, go to conferences, read books to develop, experiment in their classrooms, and reflect on how they can become better teachers. Below the line, you’ll find a huge industry of private schools with unqualified teachers, old fashioned methodologies and money making as the primary ethos. If the CELTA is “not enough”, what would replace it? A PGCE type qualification? A Cert.Ed type qualification? I hope not, I’ve worked on both and they just don’t match the CELTA (for English language teaching), with its 6 hrs of assessed TP, albeit in 4 weeks in its shorter form. Would an 8 week CELTA produce better teachers? I doubt it. If things are to change then it needs employers to accept that if they want to pay the pitiful wages that they do at the moment then they can’t demand that teachers are better qualified. They are perfectly aware of that. If you want a better initially qualified teacher then you have to pay for it. It’s as simple as that. Just recently on enquiring about a job in a European capital city, I was told it was 1400 euros a month for a full teaching timetable, and that’s with 30+ years teaching experience, CELTA tutor, assessor, Joint Chief Assessor-UK and South America, Delta tutor, assessor, examiner, ICELT Chief Moderator. How can someone live on 1,400€ a month? If teachers are to increase their initial teaching skills then the ball is in the court of the employers. They will need to decide if they are prepared to balance losing some of their (massive) profits against ensuring a more highly qualified workforce and paying more. Thanks for another helping of realism, Steve. You’re right, as always the pay will for the most part dictate the quality of teaching that the students receive. Of course, different things are happening in different countries so there’s no easy answer to this, but one things for sure, it makes it difficult for someone with your qualifications to find a ‘regular’ EFL teaching job anywhere. I agree with you both. The current working conditions in ELT in the private sector are pretty bad in many countries (perhaps excluding some Asian and Middle Eastern ones). As much as I love teaching general English, the chances of me ever setting foot in another language school are very slim. The pay is low. The hours long. No financial benefits of getting higher qualifications. It’s sad, really. Having said that, perhaps there’s a serious need for English teachers in the private sector to get organised to oppose low pay. Thanks for writing that, James. As a recruiter, I’d say the CELTA is and isn’t enough. It’s a great starting point and I wish I’d taken it when I was younger. It’s almost like a mega head start, but one shouldn’t get too comfortable after the course. I don’t know if you’ve noticed that, but here in Brazil (at least here in Rio) people seem to be a bit confused about what the CELTA is. I see very experienced teachers taking the CELTA here. Don’t get me wrong, I think it can be a great refresher course for those with experience, but at the same time I wonder why courses like the ICELT or even the DELTA are not popular around here. I’m not sure why either, Thiago. Perhaps it’s because there’s an assumption that you should do a CELTA first, or maybe it’s the cost? In Poland most local teachers will do an MA in English and teaching. That’s the standard route, and I guess there’s very little incentive to do CELTA afterwards. Not sure if it’s similar in Brazil. 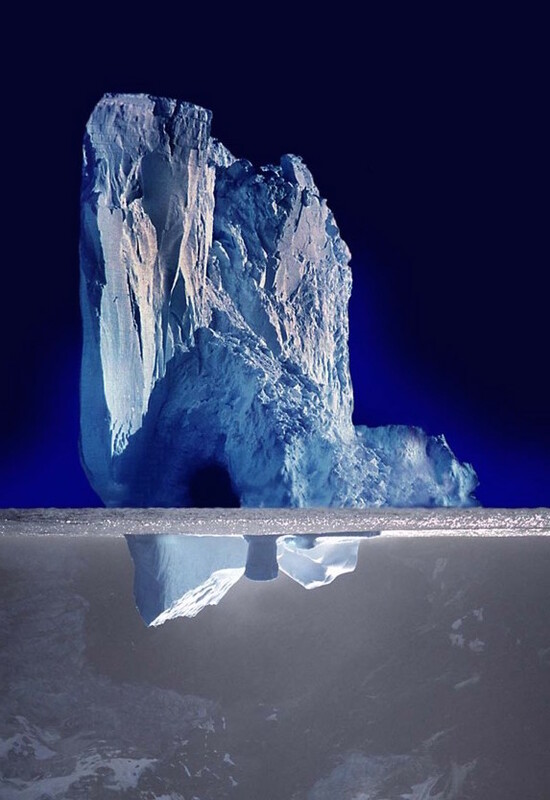 The CELTA is a great starting point, and my teachers are all on the top side of the iceberg; some have CELTA or DELTA; some Master’s degrees; and others no paper qualifications but they constantly read, experiment, and assess what went well and not so well in their lessons. When I interview new candidates, I’m always on the lookout for the person who has been teaching for five or ten years but only has really one year of experience; in other words, he/she has been doing the same sort of thing year after year after year. These are the people I avoid, no matter their qualifications or training. Wise words, Chris. If I was in your position, that’s exactly what I’d do. Qualifications are only one part of the wider suite of things that I would be looking for from a potential teacher. Hopefully the CELTA provides a foundation for teachers to build on. It did for me. Hmm. An interesting read and well-written, of that I have no complaints! But I don’t agree with the central premise – as far as I am concerned, the CELTA is not enough. What would be “enough” for me? I don’t see why would-be teachers from the UK are expected to get anything less than a PGCE. If it’s the industry standard for those people who want to teach in schools and colleges in the UK, why should we expect anything less from those who want to go and ply their trade elsewhere? It does require wannabe-teachers to make a firm commitment to their chosen field right from the outset (something that the CELTA arguably does not do…although the financial outlay might indicate otherwise); it does have fewer start dates than something like the CELTA (reducing the intake of new teachers). But it creates transferable skills and situates us firmly within the field of education – I have often felt that our professional qualifications situate us within the field of linguists-who-teach rather than teachers-who-know-linguisitics. All of this is but a dream, however. And as you rightly say, if we were to all demand that people from now on had PGCEs, many schools would see themselves close for want of staff. It is also true that there are some amazing teachers (in the offing) who emerge from CELTA courses and no CELTA courses are exactly the same. I find it hard to believe that many people emerge from Marisa Constantinides’s programmes who do not feel immensely better-off for having participated. So…is there now a vacancy in Costa Rica? That employer sounds like the type I’ve been looking for…! Thanks Secret, and in principle I agree with you. I would love all teachers to have a PGCE, hell, I’d love them all to have Masters degrees! (www.theguardian.com/education/2015/jun/17/highly-trained-respected-and-free-why-finlands-teachers-are-different) But as you say, this is but a dream. We are a long, long way from that, but it’s something to aim for, I guess. OK…next question…is there an extradition agreement between the UK and Costa Rica? Thanks James. Food for thought. Rather like saying how long is a piece of string? Some require a lot more hours of CELTA type input than others. Some are quick on the uptake; some are just naturally born teachers. Others you could give a hundred hours, and it would make very little difference. That’s true, Chris. I’m not sure there’s any realistic amount of training hours that can adequately prepare you, unless you spend years in training, which not many of us can afford. Hello. I saw many posts on Facebook, by CELTA holders, claiming that the techniques they learned during the course are useless for teaching in China. Do you have any idea why they would say that? What is your opinion on this? I don’t have a CELTA degree but I work in China, that’s why I’m asking. Thank you very much. I’m not sure Jerry, as I don’t have any first hand experience of teaching in China. Perhaps it depends on what they expected from the course? The CELTA provides you with an overview of modern communicative approaches to English teaching to adults, so maybe they found these techniques difficult to put into place. Thanks Marek. I have to take issue with your comparison there. Comparing what we do with doctors is a false equivalence. Sure, we are both professionals but there is a considerable difference in the amount of knowledge required to do the job and, more importantly, the responsibility involved. Obviously people whose job it is to keep people alive require more training and get paid more as a result. Which leads me back to my central point – if the CELTA isn’t enough, what do you realistically hope for? I have to take issue with your argument too. What I can see there is a certain tinge of ‘teaching English is not rocket science’ belief. It isn’t immediately obvious to me that teachers need less knowledge to do their job, nor that it involves less responsibility. But perhaps let me frame my initial comparison differently – can you think of any other profession where it takes you 4 weeks to qualify, and would you trust such a professional? Your final argument is a circular one. CELTA is the most realistic option, so we shouldn’t change it, because it’s the most realistic option, i.e. teachers wouldn’t pay for a longer course, demand for teachers requires a quick production line (imagine the same argument was used for other professions). This isn’t an either or situation. Yes, we are a profession and I don’t think what we do is easy, if we want to be good at it. If you really want to get into it, then you going to need to study second language acquisition and keep up to date with the latest neuroscience to understand the cognitive processes that occur when learning a second language. Plus you can throw into the mix things like etymology and the psychology behind motivation and communication. You definitely can’t do that in four weeks, but then you might struggle in four years too. I think it’s okay to compare us to other professions, but not to doctors. The bottom line is that their responsibility is to keep people alive, and ours is to help people improve their foreign language skills. If we make a mistake, we have a second, third and fourth chance to make it up. They don’t have that luxury. This isn’t meant to denigrate what we do, I do think it’s important and should be valued. I especially think that teachers who work with kids in mainstream education have an absolutely vital role, and society agrees as the threshold of qualifications is much higher for entry, correctly. But there’s no harm in keeping a sense of perspective about it. So moving this forward, what would you like to see as basic entry level qualification? You’re right – the comparison with doctors wasn’t perhaps the most accurate one. The threshold is much higher not just for teachers working with kids, but also those working with adolescents in high schools and adults in universities. It seems that it’s just the private ELT sector that has a 4 week threshold. I honestly can’t think of any other profession that would have lower requirements. And my gutt feeling is that it’s kept so short for purely economic reasons – more courses can be squeezed into the academic year, more people are likely to attend a shorter course, more money to be made. I agree that those are important and useful things that at the very least could be given more emphasis on pre-service training courses. But the practical details are going to be difficult to figure out, as realistically, you know as well as I do that if the CELTA doubled in length, there would still be people saying that an 8 week course is inadequate. It’s a lose-lose situation. I’m glad this came up on my Twitter feed again as I’d been meaning to read it and was held back by flu symptoms that demanded my full attention for a few days. Now I’ve read, I couldn’t agree more! To me CELTA is a great starting point and also a sign of the initial level of commitment someone has towards teaching EFL/ESL. However, it really isn’t enough, and the onus of PD should be both on the teacher AND the employer. PD is expensive (in money and time) and TEFL teachers’ paying rate isn’t exactly at the high end of the scale, as you mentioned in your post. I think it’s great that there are so many of us who work hard at providing our students with what we feel they deserve – and so we should. But what I feel needs to change is the commitment – or lack thereof – of the majority of school owners around the world. School fees go up, schools expand, demands and commitment on teachers grow but salaries often fail to follow the same trend. Someone’s getting addicted to profit, or is it that the overheads are growing too? At that rate? Really?! And yet, the finger still remains pointed at teachers. With experience, I’ve realised that working only for schools that support my PD has saved me money and time. TEFL teachers bear too much of the burden yet reap little of the harvest. It’s about time fingers got pointed in the right direction, and that we recognised schools that support the professional development of their teachers.